2016 continues to be a good year for our local real estate markets. A stunning number of DC homes are selling for over $1,000,000 in neighborhoods where that would have been unthinkable just a few years ago. The up-and-coming neighborhoods that once felt affordable have become so hot that prices are climbing rapidly. In fact, within the past 3 years, the number of properties exceeding the million dollar mark in these neighborhoods has grown by more than 250%. Neighborhoods like Capitol Hill, Georgetown and Dupont Circle have traditionally been expensive. 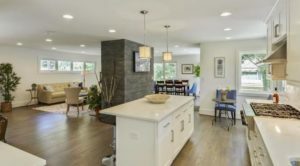 However, nice homes selling for over $1,000,000 are becoming commonplace throughout all of Washington. Great examples of this can be seen in neighborhoods like Shaw, Bloomingdale, Brookland and LeDroit Park. The desire for renovated homes in walkable neighborhoods is largely responsible for this uptick. Walkable to Metro, walkable to dining and shopping, and walkable to work is the perfect trifecta for a hot location. The more you have of each of these, the more desirable the neighborhood becomes to today’s buyers. If you’re living in the suburbs and thinking of moving into the District, be prepared for sticker shock. Although prices in the suburbs are doing just fine, prices in DC are rising even faster. Looking for new construction in Montgomery County? That market is thriving, as well. If you’ve heard the sound of jackhammers in your neighborhood, you know what I am talking about. There are at least 188 new, detached homes that have come on the market inside the Beltway in just the past year. So what does all this mean? My personal thoughts are that developers are bullish on the Washington market and are specifically targeting hot locations. They’re finding that consumers are willing to pay premium prices for new construction in walkable DC or close-in Montgomery County.